Accutane Side Effects Are NOT a Minor Issue and Should Not Be Ignored. Learn The Disturbing Facts About Accutane Side Effects Before It's Too Late. If you have been diagnosed with severe case of acne Vulgaris, have been prescribed Accutane and think Accutane side effects are a trivial matter that cannot be compared to the damage made by your existing acne, think again! After suffering from Acne for more than 13 years, taking full course of accutane that caused permanent damage to my knees and after 7 years of dedicated acne research, I have felt obligated to put this report together to reveal some of the most horrific Accutane side effects facts, for your protection and health of your loved ones. Accutane side effects is a serious controversial topic: Accutane Side effects Are Linked to 240 suicides worldwide! Because of the serious often deadly side effects associated with Accutane, the drug was supposed to be reserved only for the most severe cases of acne and as a last resort. But this is hardly the case. Accutane by Hoffmann-La Roche is a top selling drugs that earns the company millions upon millions each year and most dermatologist will not even blink when prescribing accutane. The truth is that Roche has failed to properly warn consumers about accutane side effects which lead many families of accutane side effects' victims (the majority of the victims have committed suicide) to file Accutane lawsuits. Congressman Bart Stupak who's son has committed suicide while on Accutane, warns consumers of the more serious Accutane side effects such as: Inflammatory Bowel Disease, Lupus, Psychiatric disorders and birth defects. Accutane is not the answer to acne. 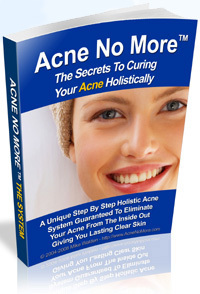 There are far more gentle and all natural alternatives to cure acne for good without the side effects of Accutane! Although the pain and agony of having acne can be unbearable I urge anyone considering the use of Accutane to carefully re-evaluate their decision, and perhaps prevent a lifetime of pain and permanent damage as the result of using The Miracle Drug. The holistic methods for curing most chronic diseases including acne are safe, natural and they work long term. There is an alternative.